Every teacher lives for the day when his pupils finally “get it.” If not, he’s not much of a teacher; only a pontificator. As a teacher, you know when you survey your students eyes whether you’re making ground. In Paul’s case, he could see–or he was told of–the Ephesians’ excellent start, that they already excelled in faith and love. He was almost there! One last visit, perhaps, to the throne of God, to acquire for them the wisdom and knowledge to really grasp the full ramifications of the “hope of His calling,” the glorious riches of an inheritance as saints, and the unsurpassed great power to all believers at their fingertips. 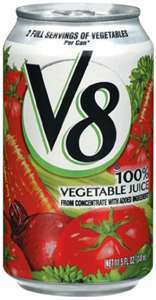 Such a “V8 moment” is only accessible through the Spirit, not by rote memory work or attending church every time the doors are open. A believer will have this revelation sooner or later as he or she reads, studies and meditates on Scripture, and prays this kind of prayer for himself. This is how the Spirit gains unfettered access to the “eyes of our heart,” so as to throw the proverbial “light switch.” When the heavenly banks of lights shine, we see with brilliance the power that raised Christ and seated him at the right hand of God. We see all the fullness of Christ and his preeminence as the head of the church. Indeed, the greatest mystery of life, the summing up of all things in Christ comes clear! In other words, for those who finally get it! This entry was posted in Commentary, Devotionals, Ephesians and tagged body, church, enlightened, Ephesians, Ephesians 1:15-23, eyes, heart, inheritance, Paul, power, pray, prayer, prayers. Bookmark the permalink.